Simply stated, we put patients first. Rather than take a hard-sell approach, we strive to educate, inform, demonstrate and discuss your options with you. We believe that properly done, vision correction care is a terrific option for those who have been determined to be good candidates for these procedures. When it comes to your vision, we don't think you should have to make any compromises. The Atlanta Vision Eye Clinic is a world-class refractive surgery center specializing in laser vision correction and advanced cataract surgery. We focus on providing unsurpassed vision care for a very reasonable cost. Visit us today for a consultation with our trained, professional and welcoming staff. You will receive a comprehensive eye exam using the most advanced equipment and technology. We have an on-site surgical suite, so all procedures are performed in our office for your comfort and convenience. With our state-of-the-art LASIK technology and Dr. Ashraf’s unmatched experience, we are able to offer you many choices for your laser vision correction procedure, and the best possible results. We have the experience and technology you can trust. Dr. Farooq Ashraf, medical director of the Atlanta Vision Clinic, is an American board-certified ophthalmologist and surgeon, and a leading LASIK specialist. He has corrected the vision of thousands of patients in the United States and the United Arab Emirates. 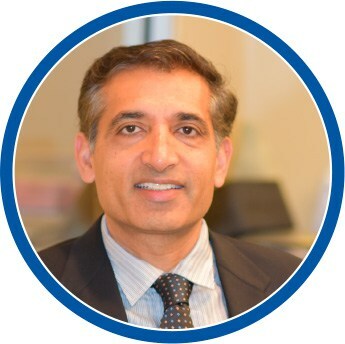 Dr. Farooq Ashraf, medical director of the Atlanta Vision Clinic, is an American board-certified ophthalmologist and surgeon, and is a leading LASIK specialist. He has corrected the vision of thousands of patients in both the United States and the United Arab Emirates.